WELL-BEEING have introduced bath soaks along with their other natural hand made products. Bee-Refreshed is bath soak which can also be used as aromatherapy, steamer and sniffer. Aromatic bath can turn a quick cleanse into relaxing ritual. There is nothing more soothing than to immerse your body or feet in an aromatic bath soak. 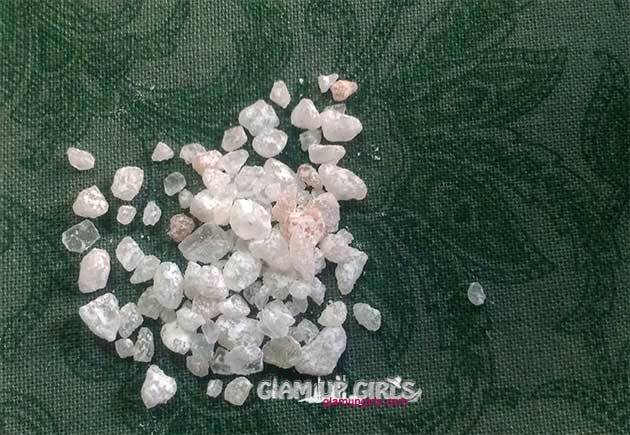 This anti depressing, mood lifting blend bath salt soak made of Himalyan pink crystal salt that gets its color from high mineral content and is not just pretty but is good for you! The fragrance is a blend of 100% natural essential oils that are relaxing grounding yet energizing. It has a fresh, sweet floral, herbaceous aroma that is soothing and refreshing thanks to lavender. It is a great aid for relaxing and winding down before bedtime, yet has balancing properties that can also boost stamina and energy. Adults: Add from 1 teaspoon to half a cup to a full bath based on your taste and to llerence and swish the water gently so that salt dissolve and disperse through out the water. Inhale to open your respiratory tracts. 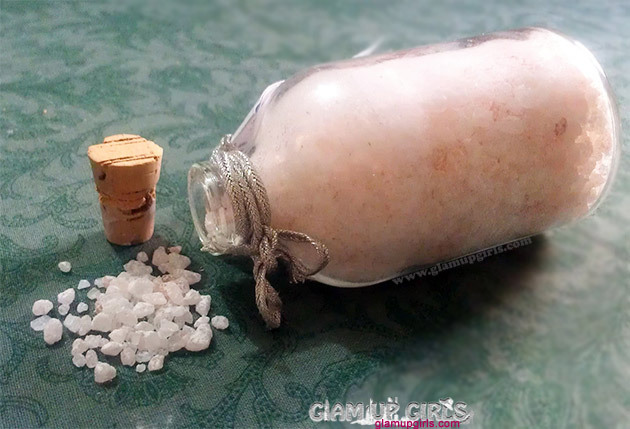 This therapeutic bath salt soak pack a powerful blend of essential oils. Therapeutic properties include treating migraines, headaches, depressions, nervous tension and emotional stress. The refreshing aroma removes nervous exhaustion and restlessness while also increasing mental activity. It helps with insomnia and regulate heart -rate and improving blood circulation. Patchouli is an antidepressant: helps get over the feelings of sadness or loss and fills with new hope. It uplifts mood, drives away disappointment. This is due to the impact that inhaling patchouli essential oil has on the hormones and various chemical reactions in the body and mind. By stimulating the release of pressure hormones like serotonin and dopamine, feelings of anxiety, anger and sadness simply disappear. This bath salt comes in simple glass jar tightly closed with wood cork. The aroma of patchouli and lavender spreads and you can feel penetrating it through nostrils and giving fresh feeling. This smell is strong but not overpowering and after dissolving it become light. The grains seems large but dissolve in water very quickly. I cannot say that how much it will help you to overcome depression or other negative modes but after a long tired day a hot bath with this a salt will surely relax a tired mind and body. You can also just soak your feet in hot water with this salt in it and pain and tiredness of feet will be relived. This salt can be used as exfoliation as well. Just take some amount in your hand and add little water to make them little soft and smooth which do not hurt you. Now rub this mixture lightly on your body and you will feel amazing and get smooth skin. The good thing about this salt is that it is not only a bath soak but can be used as steamer and sniffer. If you are suffering from cold and flu and feeling your respiration system blocked then this is one product which can help you unblock it and relieve you. Just take hot steaming water and add 2 to 3 tablespoon of this salt in it. When it is dissolved put towel on your head covering your face and keep the pot at reasonable distance where the steam won't hurt you and inhale it for some time. You will immediately feel relived. 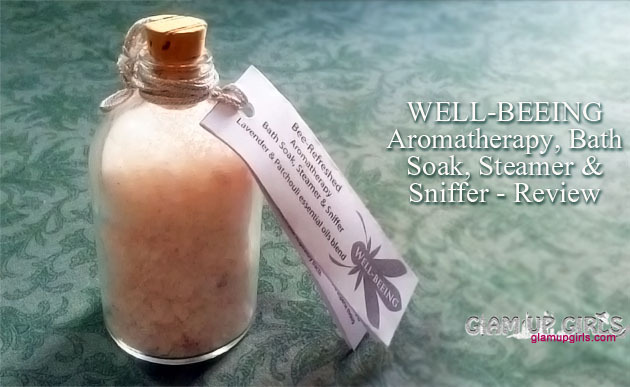 Overall WELL-BEEING Bee-Refreshed Aromatherapy, Bath Soak, Steamer and Sniffer is one very useful product which will make you relax and refreshed.